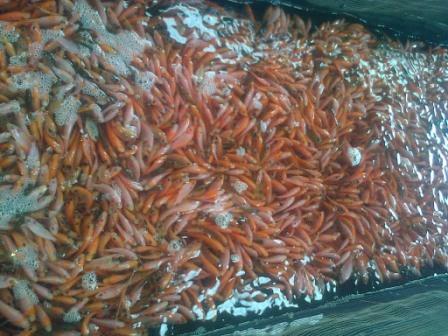 Frozen red snapper Indonesia is commercial product which can be found often in grocery stores or seafood market. 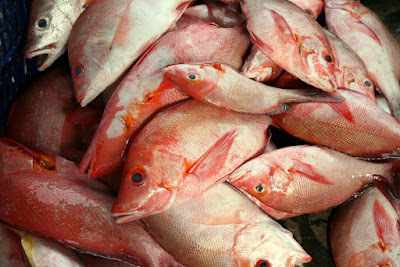 Red snapper fish is abundant in Indonesia because they can easily being caught in Indonesia waters from Sumatra to Papua. They are caught wild with mostly hook and line fishing method. We recommended you buy either fresh or frozen red snapper in Indonesia because they are available year round especially November to April when the fish is so plentiful. 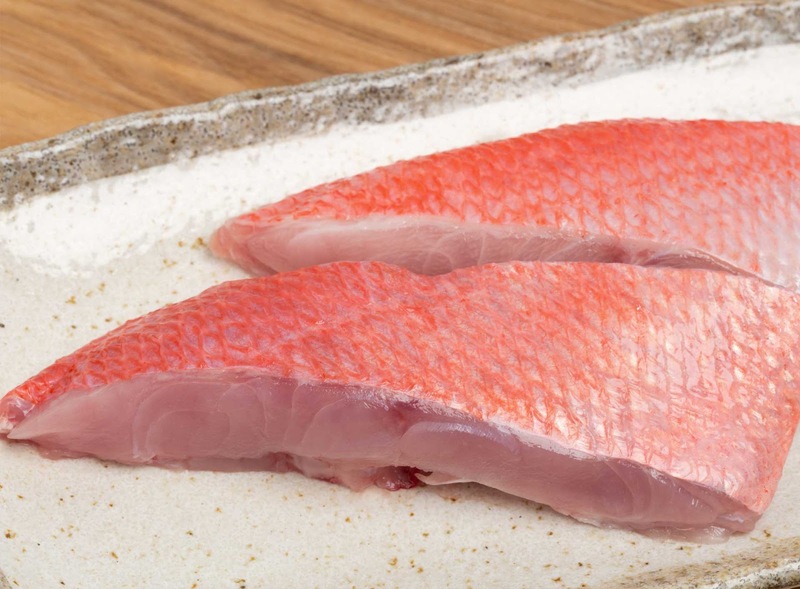 Red snapper Indonesia has light pink to clear meat which is so delicious when you cook it. The red snapper itself has deep right to pink bright color with silvery shades. 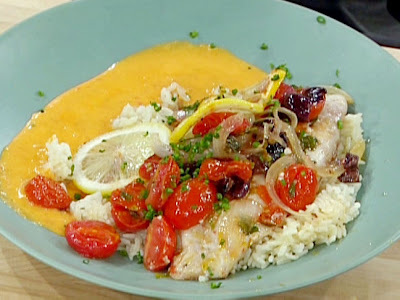 The red snapper fish offer sweet and nutty flavor which responds very well to almost recipes. They can be cooked with various methods, but the fish is best prepared when grilled, fried, and baked. Snapper fish in Indonesian have been sold in various price ranges depending on the quality. They are sold as fresh and frozen product such as whole fish snapper and snapper fillets. The snapper can be found around inshore reefs and offshore up to 80 cm. 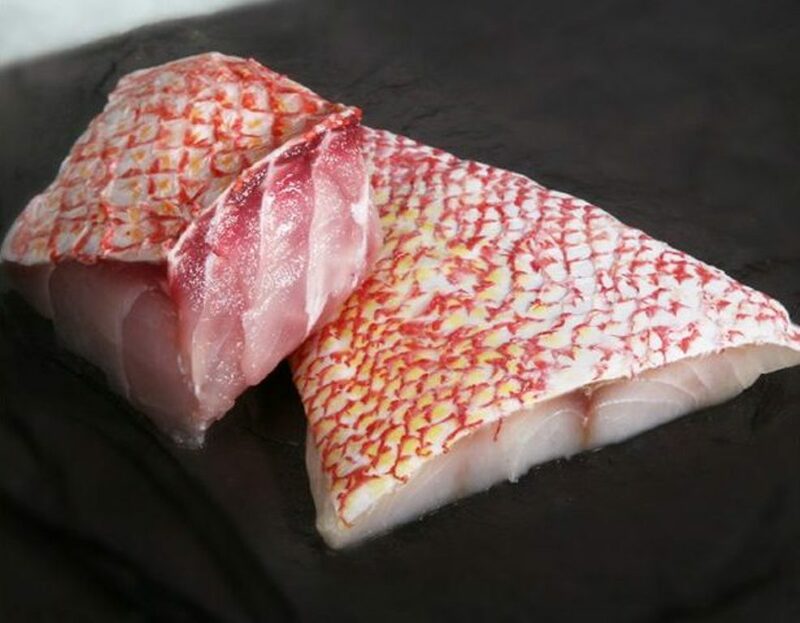 One of the best products of snapper is the frozen red snapper Indonesia. When the fish have been caught out of the waters, they are immediately frozen on board to hold the freshness. After that the fish is delivered to the facilities for the next processing. They are sorted based on their quality and after that cleaned and gutted out. Some of frozen fillets are sold with the skin still on, it is the best product to let the skin attached than remove it since the skin can perfectly hold the flesh staying firm. Although there is also frozen skin off fillets for quick preparation. The snapper is also offered with bones or boneless and the belly is trimmed. After the staffs are done clean and prepare the fish then the snapper is individually frozen and packed/ private pack or bulk pack. Most of the frozen red snapper Indonesia product is vacuum packed. With this packing method, it prevents the fish going spoilage and let the flesh stay firm. That’s why, when you want to purchase frozen fish, avoid buying them if you spot the package is torn, crushed, or damaged in any way. 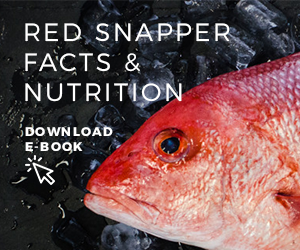 The package of frozen snapper will list some information regarding product notes such as their weight, nutritional values, sustainability, and so on. This information will help the customers to understand what kind of fish they are going to purchase. This is important to buy a product with detailed information especially the sustainability because not all suppliers will provide such information on their packaging label. 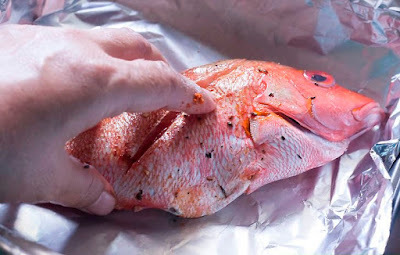 How to buy frozen red snapper Indonesia? Buy frozen red snapper Indonesia online and offline can be done with simple considerations. 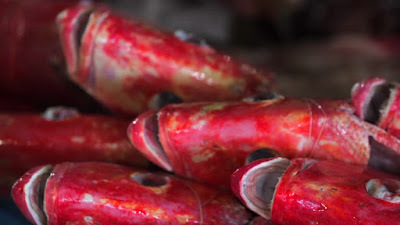 Sometime buying frozen fish is better than fresh fish especially if you live far away from the coast or seafood market where you can get fresh snapper directly from the boats. If you want to purchase fresh snapper fish at the grocery stores, they tend to display it on seafood counter. But, beware when you want to buy fresh snapper because not all of them are really fresh. They could be already frozen for a long time and thawed then the market labeling it as fresh seafood. That’s why the fresh snapper which you buy from grocery stores could be previously frozen and this is means it is better to just simply buy the frozen one because there is no different. 1. Find near seafood market or grocery stores at local area. Alternatively, you can buy the snapper online but ONLY if you can find trusted suppliers with good track record. 2. 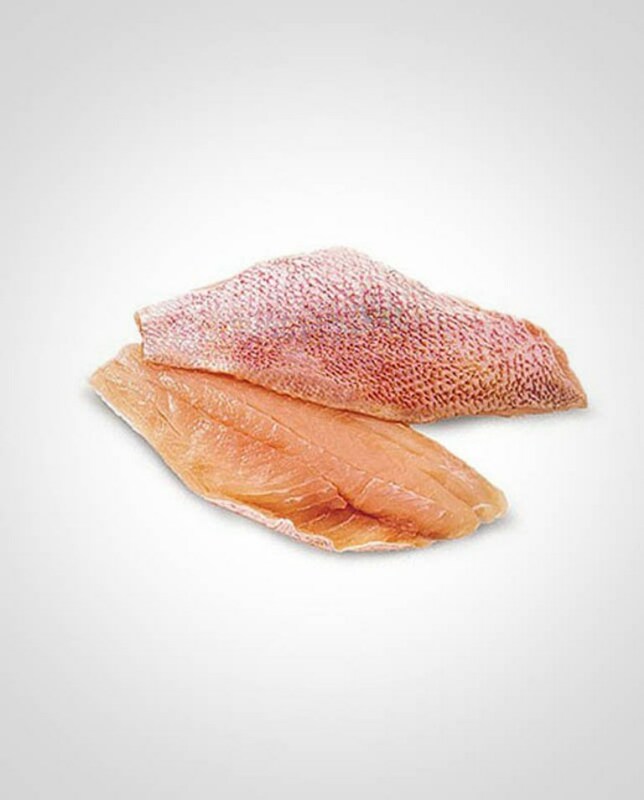 Purchase frozen snapper whole fish or fillets that packed inside air vacuum packaging. However, do not buy frozen red snapper when you see the package is torn or damaged. 3. 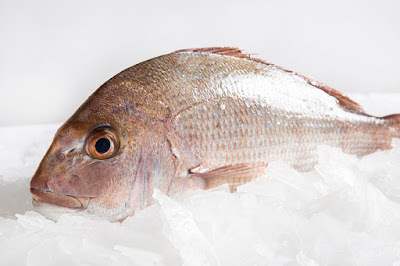 Do not purchase the frozen snapper if there is crystal ice or ice burn because it is mean the fish is already stored for a long time inside freezer. 4. 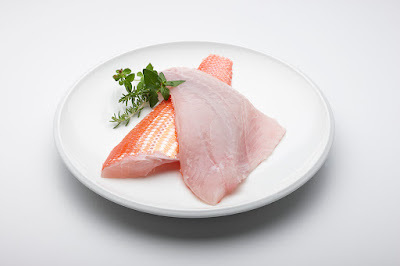 Purchase skin on snapper fillets because it is better than skin off snapper fillets. The skin holds the flesh and keeps them moist and not too dry. 5. Do not purchase frozen snapper if you spot spoilage sign as well. Make sure the frozen fish still in good condition by checking their appearance. 6. If you want to buy bulk pack then make sure they are stored and packed in the right way. 7. Check for the labeling, good products should provide important information regarding their sustainability or fishing method, where the snapper is caught from, nutritional values, weight, etc. 8. When you buying from online suppliers, always try to ask for a sample. It will help you to determine and check for the quality of the snapper products. In addition, it is better to buy snapper fish product that caught wildly than farmed one. We know that sometime the fish sold in the market is from farmed fishing. Fish that farmed is usually contains more harmful toxins including mercury than wild caught fish. That’s why, it is important to learn about from where the market or suppliers get their fish particularly if you stock snapper for your restaurant business. 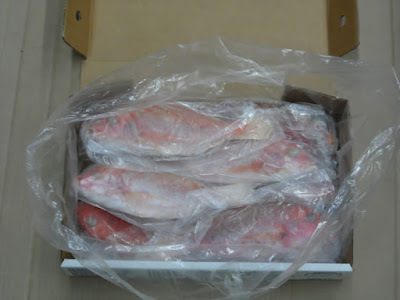 Frozen red snapper Indonesia price is really affordable and has the best quality you can trust for your business. They are mostly wildly caught with sustainable fishing method. 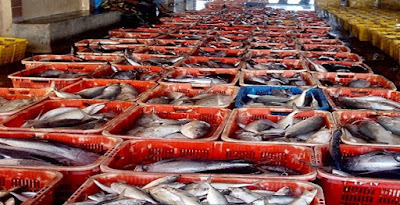 Moreover, snapper fish is abundant in Indonesia waters and therefore, they are priced with affordable costs. 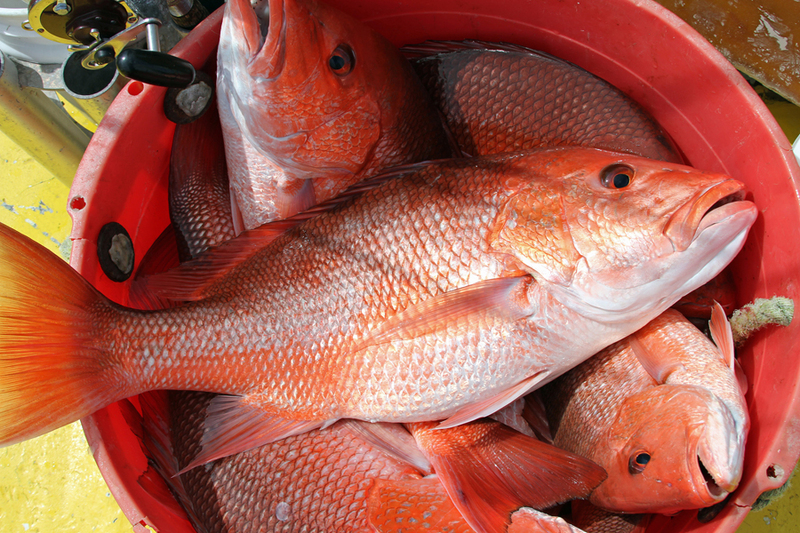 Red snapper is warm water fish with many nutritional benefits. When you check on their label, then you can find that snapper is packed with various minerals, vitamins, protein, and omega-3 fatty acids. However, snapper also contain low to medium mercury since the fish itself categorized as predatory fish. 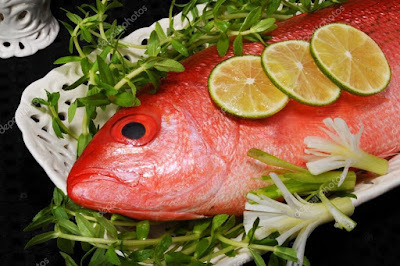 When you want to cook and eat frozen red snapper Indonesia, you better limit the amount of consumption especially for pregnant women and children who are more sensitive to the mercury bad effect. 1. Take a small bowl, and then pour inside the lemon juice, feta cheese, and olive oil. 2. Season it using pepper as well as salt to your liking. 3. Mix together all of the ingredients then served with the roasted fish. 1. Set the grill in medium high setting heat. 2. Scaled as well as gutted the red snapper fish. 3. Cut the lemon into slices with ¼ inch thickness. 4. Take a knife then cut slit on all sides of the whole fish. 5. Put into the slits some lemon slice as well as the oregano springs. 6. Put the olive oil into the fish using cooking brush. 7. Season the fish using pepper as well as salt to your liking. 8. Put the whole fish on top of the grill, and then grill it for around 6 minutes until they turn color into gold brown. 9. Turn the fish around to the other side, and then continue to grill it around 6 or 8 more minutes until they are cooked thoroughly. 10. Take out the fish from the grill, then season it again using pepper as well as salt to your liking add the chopped oregano with some olive oil. Served this with the relish. - Serrano pepper, 1 piece, chopped finely. 1. Take the fillet, and then add 2 tbsp of the olive oil for each fillet using cooking brush, season the fillet using pepper as well as salt to your liking. 2. Put the fillet into the grill and cook for around 2 minutes then flip the fillet and cook it another 2 minutes until the fillet is cooked. 3. Take out from heat then cover the fillets while waiting. 4. Turn on the stove in medium high setting. 5. Take a sauté pan that is non corrosive then put it in heat. 6. Pour in 2 tbsp of the olive oil then put in the garlic as well as onion. Cook them for a while until all of them are soft. 7. Pour inside the wine and wait until the liquid reduced. 8. Afterwards put inside the tomato, capper, green olive, bay leaves as well as the pepper. 9. Season it with some sugars then cook until the liquid is boiled then become thicker. 10. Reduce heat setting then put inside the grilled fillet and cook it again for 2 minutes. 11. Take it off the heat and serve. 1. Heat the grill beforehand in medium setting heat. 2. Take the fillets and put them inside swallow dish. 3. Take a small size bowl, pour inside the lime juice then add the olive oil, black pepper and ginger inside. Stir to mix them together. 4. Pour the above mixture on top of the fish fillets then sit them for around 15 minutes. 5. Take the fillets and grill them with 4 minutes time on each side of the fish until they are cooked and the color turn into more opaque color. 6. 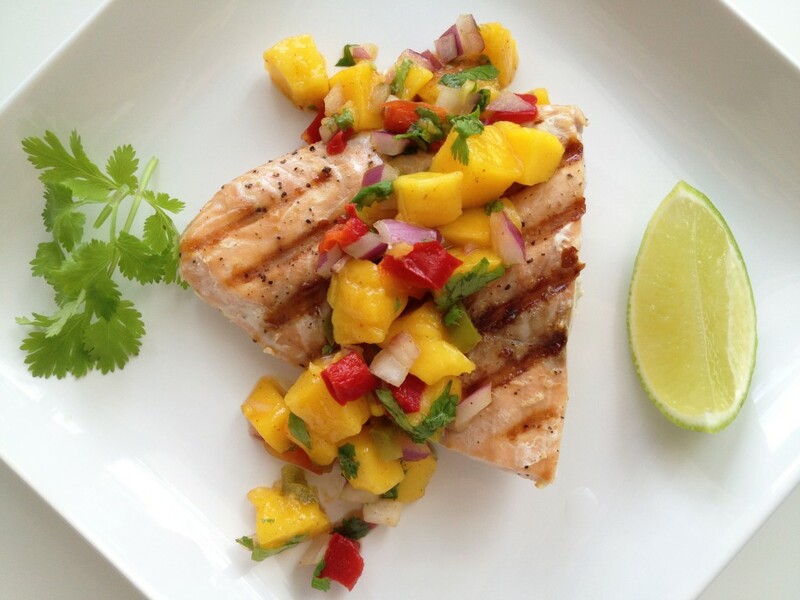 Take out and serve it along with the fruit salsa. - Red onion 2 cloves, cut in quarter, then cut again each quarter into half. - Orange 1 piece peeled then sectioned. - Lime 1 piece peeled then sectioned. - Lemon 1 piece peeled then sectioned. - Wood skewers choose one that is long and thick, 8 pieces, soak them for around 2 hours using water. - Mango 1 piece cut them in cubes. 1. Take a large size bowl, and then pour inside all 3 citrus juices along with the canola oil. 2. Put inside all 3 citrus fruits, onion, cilantro, as well as chives. 3. Put the snapper cubes then cover the bowl using aluminum foils. Leave the bowl inside the refrigerator for one night or at least 2 hours before cooking. 4. Meanwhile preheat the grill before preparing the skewers. 5. Take the skewers then thread the snapper cubes while alternating it with all 4 fruits, as well as the onion. 6. Grill the skewers for around 1 minute for each of the cubes side so they will all get the grill mark. 7. Make sure that the snapper cubes are cooked before serving to finish learning How to grill red snapper. For you who want to learn how to cook red snapper fillets, here we have several delicious recipes that you can follow easily. The red snapper is very popular food fish that you can use to create delicious dishes. 1. Take a small size bowl, then put inside all of the ingredients. 2. Still the ingredients until all of them are mixed. 1. Take a blender, then put inside all of the ingredients. 2. Add the olive oil in enough amounts to add more flavors. 3. Season it using pepper as well as salt. 4. Blend them until smooth. 1. Turn on the oven to preheat it using 350 degree Fahrenheit setting. 3. Melt the butter then add inside the onions. Stir it to cook the onion until they become soft enough which usually takes around 3 or 4 minutes long. 4. Put inside the rice, and then stir it to cook the rice until the color become opaque and they produce nutty smell which usually takes around 2 or 3 minutes long. 5. Pour inside the chicken stock then season it using salt. 6. Keep stirring until the chicken stock is boiling. 7. Take a tight fit lid then put it to cover the Dutch pan. Put the pan inside the preheated oven then bake for around 25 or 30 minutes long until the rice becoming tender and all of the liquid is already absorbed. 8. Take the Dutch pan out from inside the oven then let it sit for around ten minutes without disturbing. 9. Take a fork then work your way to fluff the rice. 10. Add inside the green onion then stir them to mix into the rice. 1. Turn on the oven to preheat it using 400 degree Fahrenheit setting. 2. Take a baking sheet then line it using parchment paper. 3. Take a small bowl, then put inside the onion, basil, olive and tomato. Season them using pepper and salt. 4. Take the snapper fillet then season each of the side using 1 tsp of salt, ½ tsp of pepper as well as the Creole seasoning that we have made before. 5. Put the snapper fillet inside baking sheet. 6. Add the mixture from the small bowl. 8. Put olive oil on each of the snapper fillet at around 1 tbsp on each. 9. Put the baking sheet inside the preheated oven then bake for around 15 or 20 minutes long until the snapper fillet are cooked. 10. Take out from the oven to serve. 1. Take an entrée plate then put enough amount of the rice pilaf. 2. Put the snapper fillet along with all of the other ingredients on top of it. 3. Drizzle them using tomato water. 4. Add fresh basil for the garnish to make it pretty. 2. Stir to mix everything, set aside. 1. Warm the flour tortillas. 2. Take a medium size bowl then add lime juice, garlic, salt, cumin, olive oil and achiote paste. Stir to mix the paste ingredients. 3. Take the snapper fillet then put inside the bowl. 4. Rub the paste mixture on all sides of the snapper fillet. 5. Use plastic wrapper to cover the bowl then put it inside the refrigerator for around 2 hour. 6. Preheat your grill before usage. 7. Take out the snapper fillet then use brush to apply the olive oil on each side of the fillets. 8. Grill the fillet at around 4 minutes on each side and take out. 9. 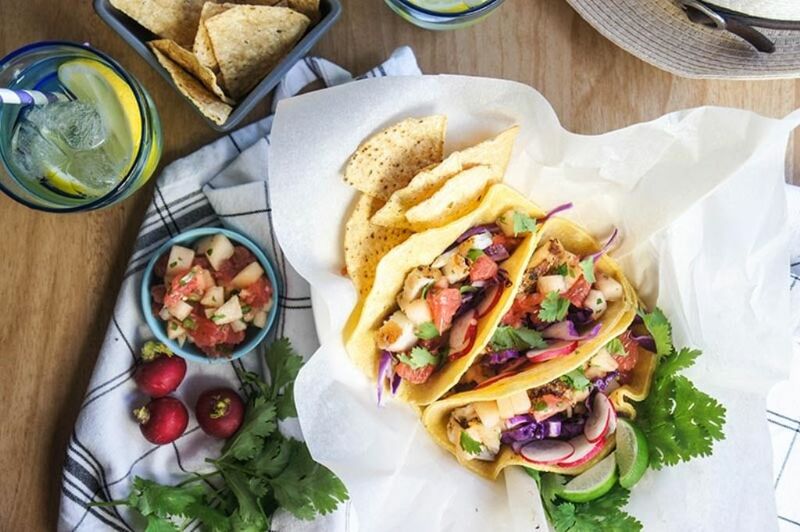 Take the tortillas, put inside the snapper fillet and add the salsa to serve. Those are the ingredients and directions that you need when you want to learn how to cook red snapper fillets in easy methods. 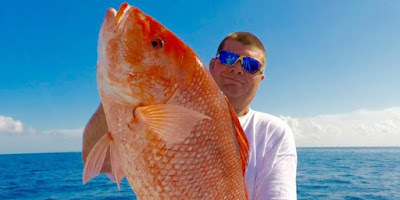 Red snapper length weight chart comparison will give you detailed information about the overall weight and length of the snapper fish that you catch. It is important to measure the fish based on their length and weight since it will affect the price of the fish. And if you love sport fishing, it can also tell you how big the red snapper that you successfully catch in the ocean. Many sport fishing lovers always try to compare their biggest catch especially if they can catch fish with big size. 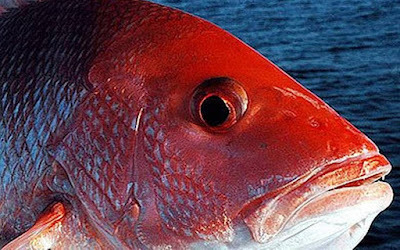 Red snapper length weight chart will show information about average length and weight of snapper in pounds or kilograms. Usually there is some standard when measure the weight and the length of red snapper which can be used by fishermen. However, you can also try to measure the weight and length of the fish that you can catch. For quick information, average northern red snapper length can reach up to 60 cm or 24 inches with maximum length of 100 cm or 39 inches, their weight down about 20 pounds. However, most of red snapper that you found in the market have less weight and length. The red snapper estimated ages are around 40 to 50 years. 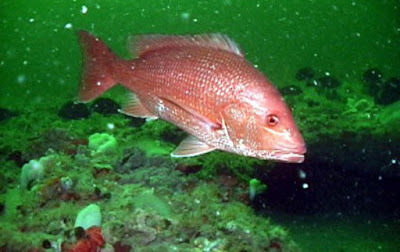 The red snapper like to inhabit deep waters and they can mostly being spotted as deep as 300 feet or 90 meter in the sea. They like to stay close to the bottom between rocky bottoms or on the reefs. The red snapper is warm water fish with bright deep red to pink skin and a bit silvery shades appearance. It is a predatory fish that like to feed on other smaller animals. Red snapper is one of the most valuable seafood in the fishing industry because they offer delicious flavor and appealing appearance. They are highly marketed in expensive price and many considered it as luxury fish in the restaurant. You can make your own measurement of red snapper length weight chart with rules and pencil. This will help you to compare your red snapper in every caught. This is also like to be done by fish biologist when they collect weight and length data from various types of fish including red snapper. By measuring the red snapper fish based on their weight and length, it will help calculation of weight and length relationship of snapper fish. And in then when sometime you catch red snapper fish but you do not bring calculator or tools, you can still try to estimate their weight based on their length only. · Total length: it is mean you measure the red snapper fish from the snout to the tip of the tail. · Fork length: it is mean you measure the red snapper fish from the snout, however only to the fork of the fish tail. Total length is the legal length and it is the maximum length of the fish. Both of the fork and total length are often being used in conversion tables or charts. It is usually being done in cm for the length and kg/ pounds for the weight. You can use both of the length using rules, after you can tell the length measurement then the next thing you can do is find some red snapper chart and look for the result. It will tell you how much the weight based on the length measurement which you have done before. With this method, you do not need to always bring the scale every time you want to catch some fish in the ocean and it will save a lot of time. 1. You may want to take out the fish from the water or keep them in the water. After that start to measure the red snapper with girth rules by wrap the measuring tape around the widest part of the snapper fish. After that, check for the measurement and square it. 2. The second step is to measure the length of the fish from the tip of the fish to the end tail of the fish using girth rules. 3. Next, you need to multiply the length by the result with this formula: (girth x girth) x length of the fish. And after that divide the result with 800, there you finally get the measurement that you want to know! With this method, you do not need to calculate the snapper weight with scales and it can be done in short time. Snapper fish weight and length is varied based on their species. However, most of the snapper that you will see in the market is smaller than the average caught. 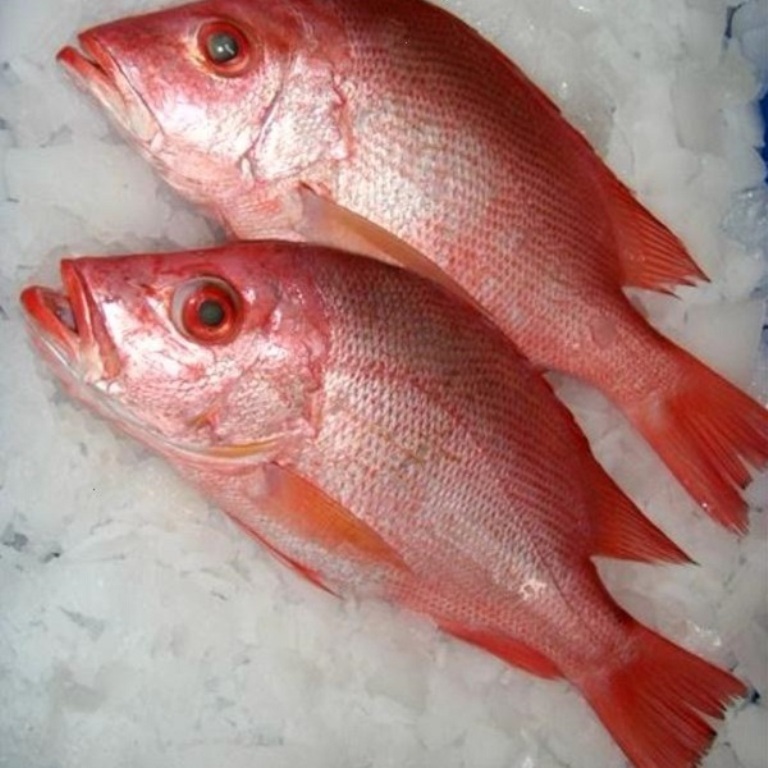 Red snapper is not only great fish in appearance, in fact they also offer very delicious sweet nutty flavor. When you want to catch this fish because of its value then you need to take natural live bait so the snapper will easy to attract. Live baits are more effective to be used than the artificially baits. When fishing red snapper, it is important to know the season as well. For recommendation, you can try to fish during the spring season when snapper is abundant and in great condition. After you caught some of red snapper fish in the ocean, you can try to measure them based on red snapper length weight chart calculation to tell you whether you already break the record. Red snapper vs salmon information is important to know when you want to compare the qualities of these two incredible fish. Both snapper and salmon are top well known fish in the world because many people consume them due to their healthy benefits and of course the taste. Moreover, snapper and salmon are highly valued fish in the fishing industry because they are sold in expensive price due to the high market demand as well. However, which one is better from another? Might be you are curious about which is more superior to another fish especially when you want to cook it for your meals. Here is some information that might help you to select between snapper or salmon according to your needs and preference. Which one is the best: Red snapper vs Salmon? Before you understand which one is the best: red snapper vs salmon, you need to know what are red snapper and salmon for the first. From that information, you can tell better about the fish characteristics. Salmon fish can be found in the Pacific and Atlantic Ocean and they are categorized as fresh water fish. They like to migrate to the sea but then return to the fresh water to start reproduces or you may call it better as ‘spawn’. Their appearance is various depend on the salmon species. Although there is large number of salmon fish which you can find, the population of salmon in the Atlantic Ocean is in danger because of overfishing. In the market, they are sold as whole fish, fillets, steaks, saku, and even canned. 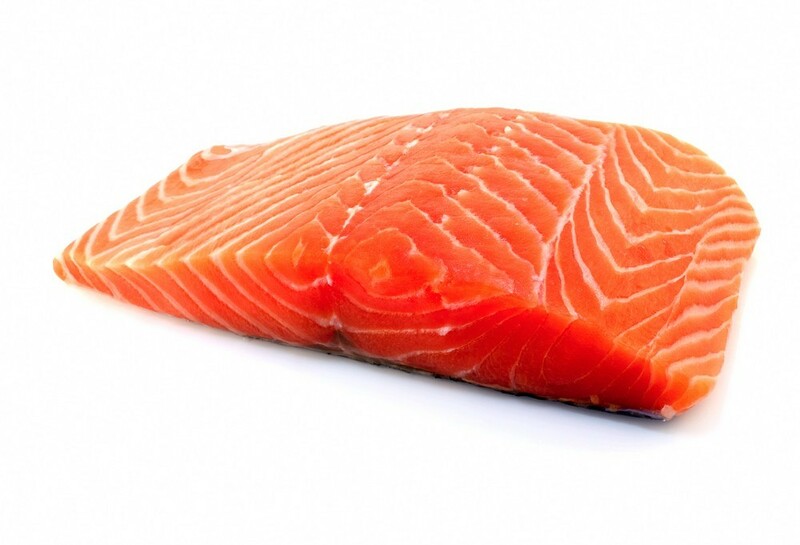 Beside tuna, salmon is one of the most popular fish to consume by many people. 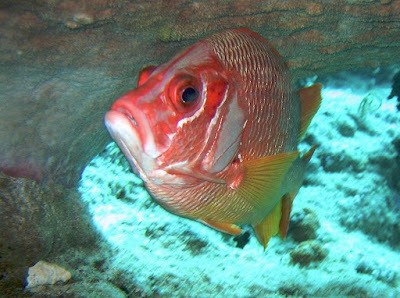 The red snapper is warm water fish that like to live in the ocean depth about 300 feet. Just like salmon, snapper available in various species. 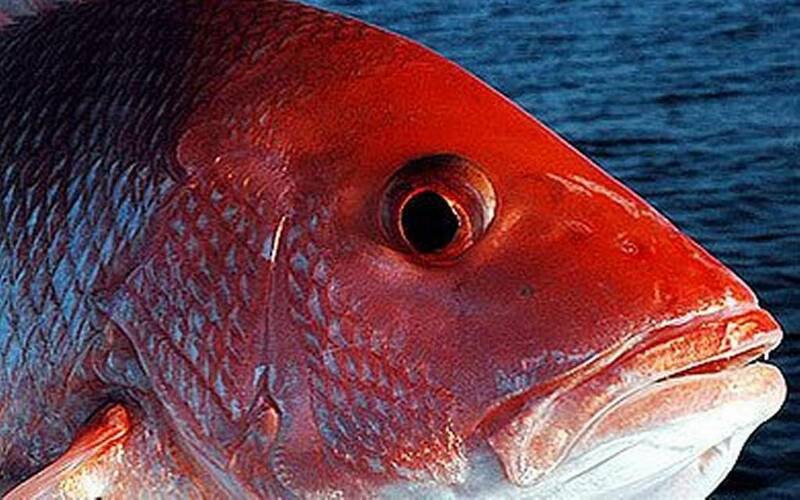 However the most well known snapper species so far is the red snapper with its bright red skin appearance. Snapper can be found in the Gulf of Mexico and Atlantic Ocean as well as Indonesia waters. They are highly priced due to the high market demand and they are mostly sold as a whole or fillets rather than canned or saku. Snapper is also one of the most popular fish to consume by many people, although they are rank below tuna and salmon for the popularity wise. 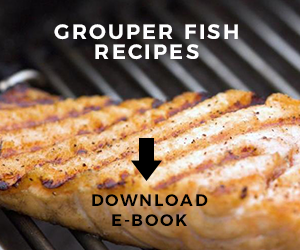 Just like any other fish, both red snapper and salmon contain nutritional benefits. They are packed with vitamins and minerals. Red snapper and salmon can be a great source of lean protein to build your muscle and it is mean they are good for your diet. Snapper and salmon are also contain omega-3 fatty acids which essential for cardiovascular health and to develop brain system in child. However, red snapper contain less omega-3 fatty acids than the salmon so you may want to consider this point when selecting the best fish to eat. Vitamins and minerals such as vitamin D, vitamin E, selenium, magnesium, etc. are contained in the salmon and snapper. When you want to eat fish then you need to be careful with the mercury level inside of them. That contaminant can be harmful for your body and overeating. Most of the fish that you found either in the ocean or rivers containing mercury and that’s include the snapper and salmon. However, snapper and salmon are categorized to be low in the mercury level and thus it is fine for you to eat snapper and salmon still in moderate amount. But beware of the farmed fish since they are likely contains more mercury level than the wild caught one. As for the cholesterol level, red snapper has lower level of cholesterol than salmon fish. 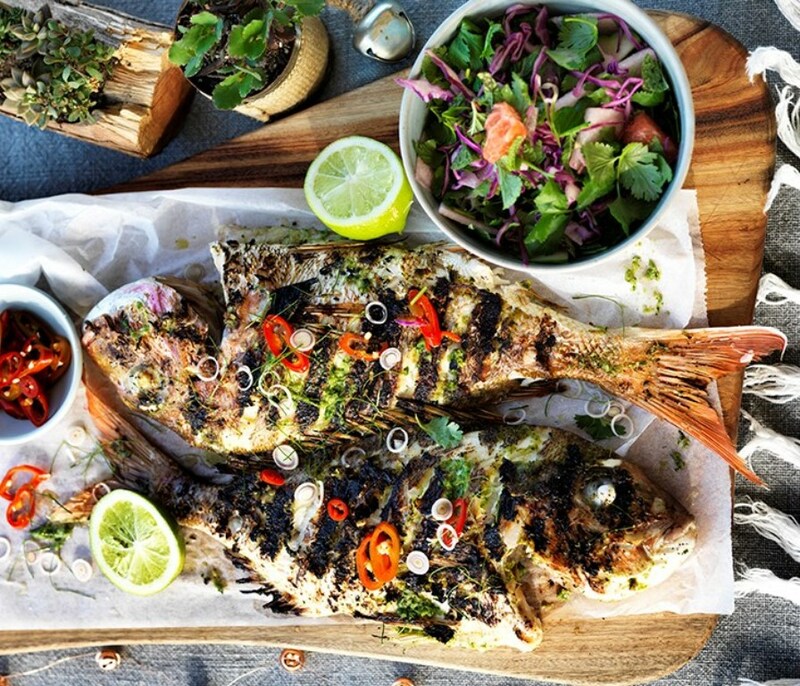 Both of the red snapper fish offer very delicious taste and most of them can be cooked with so many cooking methods. No wonder that they are highly valued as sushi main ingredient as well. Red snapper vs salmon taste is really good and it is better if you try them all without leave the other one. 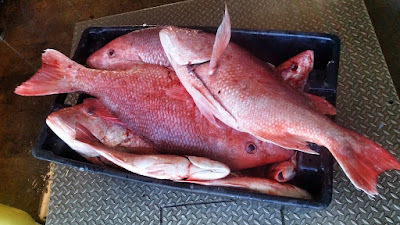 The red snapper has sweet with a bit nutty flavor and they are good when you baking, grilling, and frying the fish. 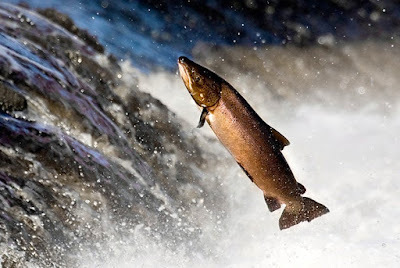 As for the salmon, their taste depend on the sources, wild caught salmon might taste different with the river one. However, most of the salmon fish have mildly flavored meat came out of the sea. But, once again their taste is depends on the types of the fish and where they are caught as well. Red snapper vs salmon price is of course depend on their quality. Premium salmon meat can go as expensive as red snapper especially when they are used for high sushi grades meat. However, you can always spot lower price of salmon fish than the red snapper which usually high in price. If you want to eat fish but do not have that much budget, then you can simply buy canned salmon unlike the availability of snapper fish. Those are some comparison between red snapper vs salmon according to their nutritional benefits, risks, flavors, and their prices. Comparing fish side by side is very important because you can tell which one is give more benefits to you. Moreover, by seeing these comparisons, you can make wise choice about what fish you want to eat when you are on a diet. Hope this comparison can help you to pick the one that suitable with you needs or requirement. 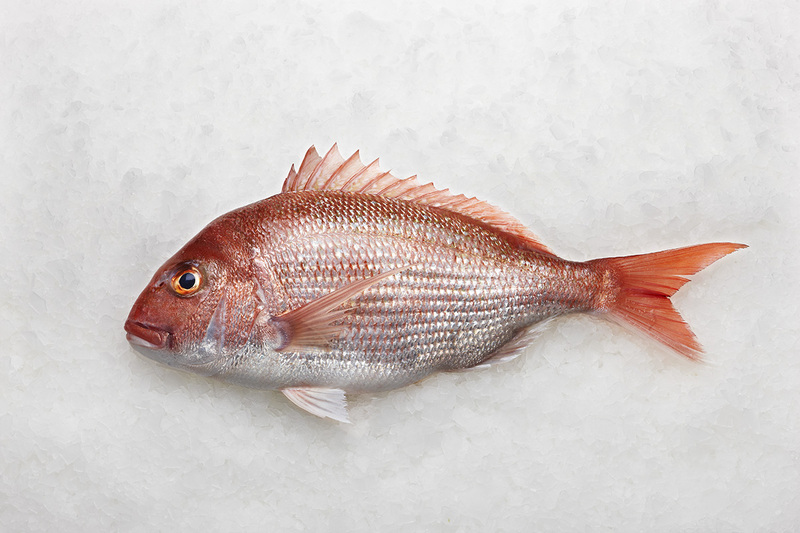 Get Many Information About Frozen Red Snapper Supplier and Many Tips.